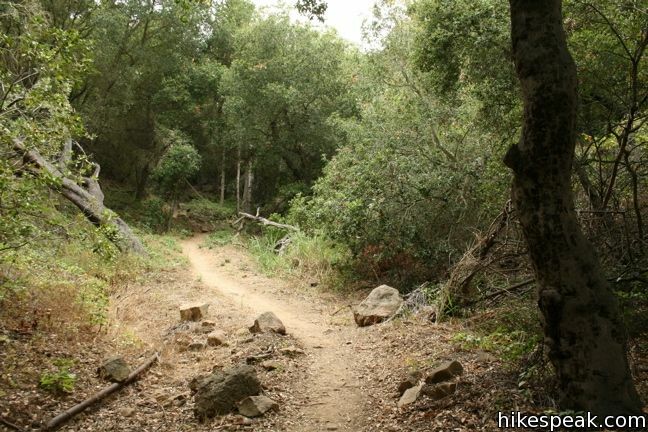 This 3.7-mile hike combines four trails (San Ysidro Canyon Trail, McMenemy Trail, Girard Trail, and Edison Catway Fire Road) to form a loop through the mountains behind Montecito, California. 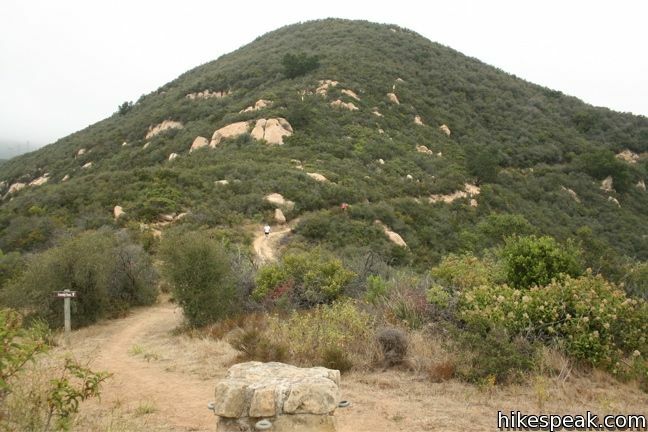 The trails ascend 1,000 feet, providing good exercise and views. 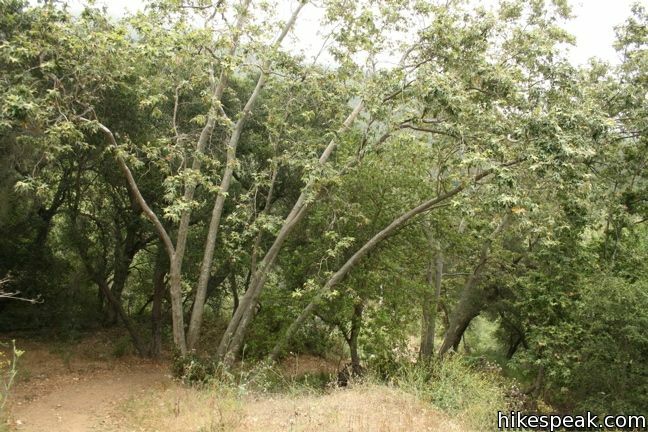 From San Ysidro Trailhead, begin hiking inland on the wide trail that passes through a neighborhood before reaching Los Padres National Forest. 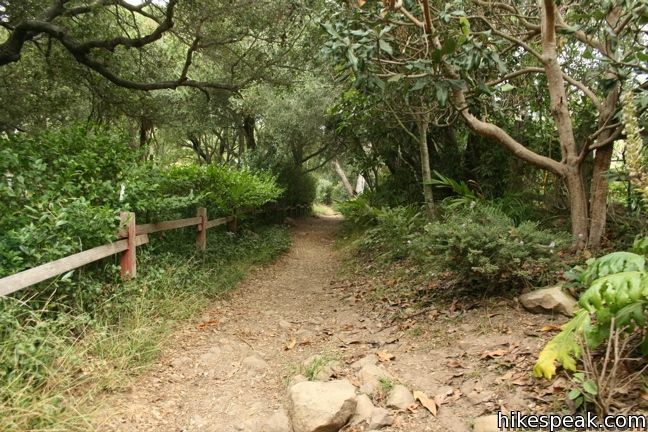 After 0.2 miles, the trail runs into a paved street. Turn left here and follow the trail along the road past a few homes. After entering the forest, you will come to a junction half a mile from the start. 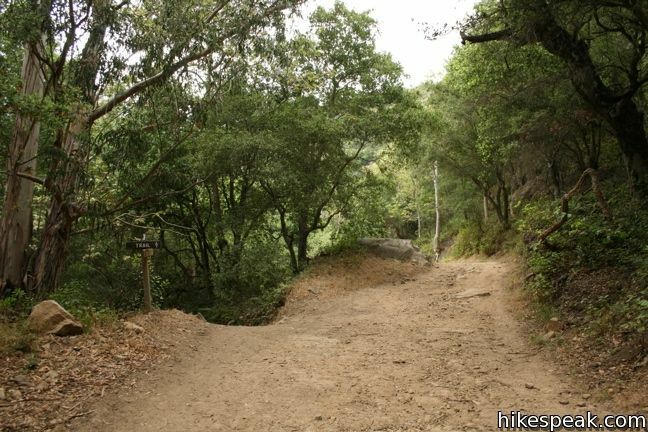 This is the beginning of the loop portion of the hike, which is best experienced in a clockwise direction, insuring a gradual ascent and a swift descent. 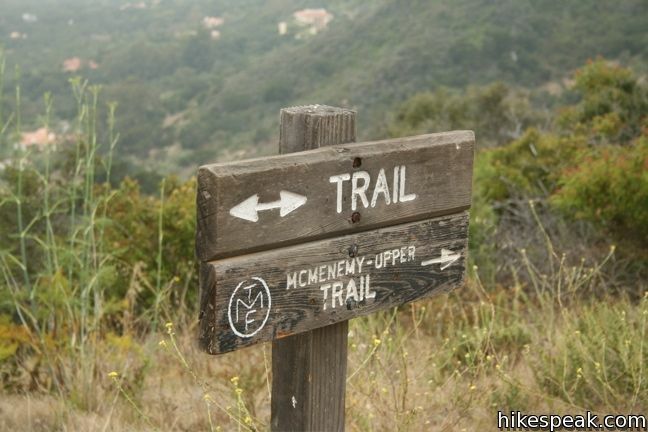 Turn left, following a sign labeled McMenemy Lower – Trail. 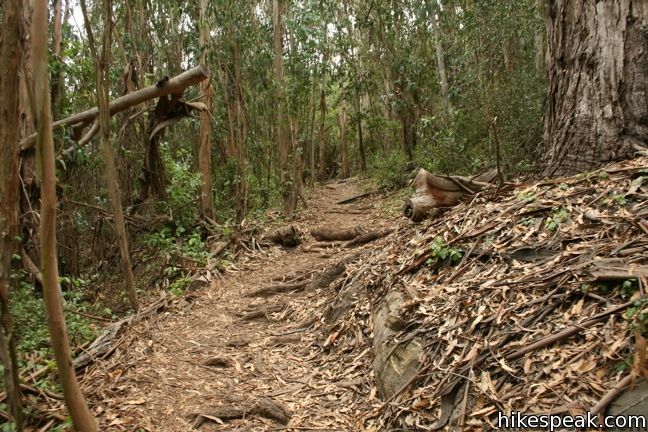 Follow the single-track McMenemy Trail across San Ysidro Creek and through a forest of Eucalyptus trees. 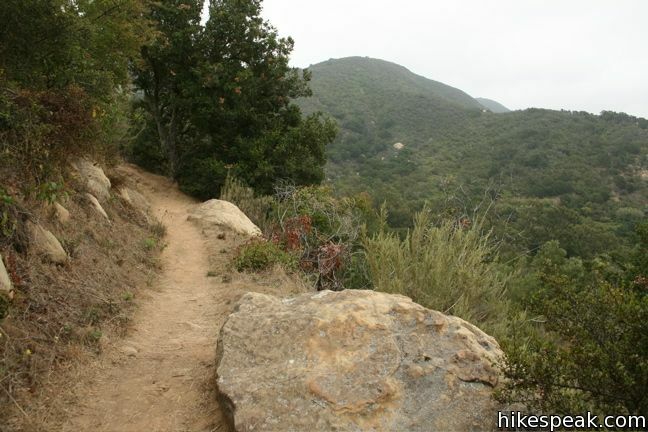 The trail passes through the forest and climbs a grassy mountainside, ascending 450 feet over 0.9 miles. 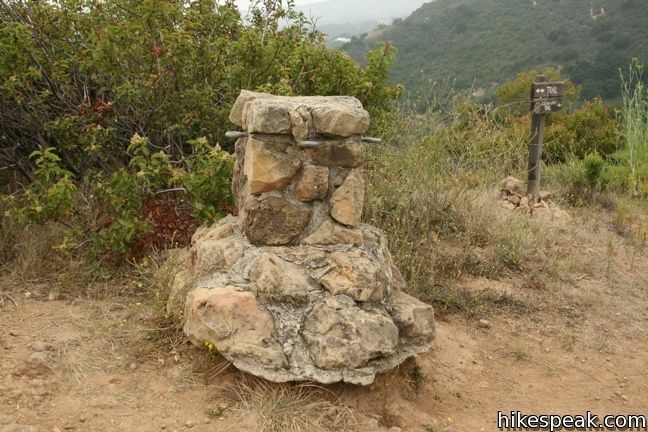 After several switchbacks, arrive at a junction with Girard Trail alongside a stone hitching post and a grand stone bench. 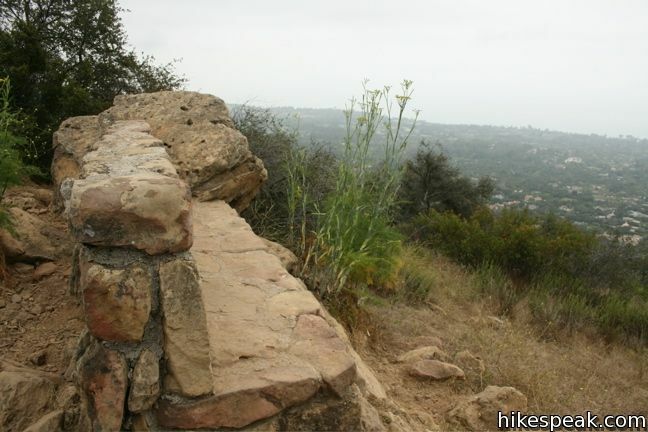 This bench is dedicated to Colonel McMenemy and offers a fine view over Montecito and the Pacific Ocean. 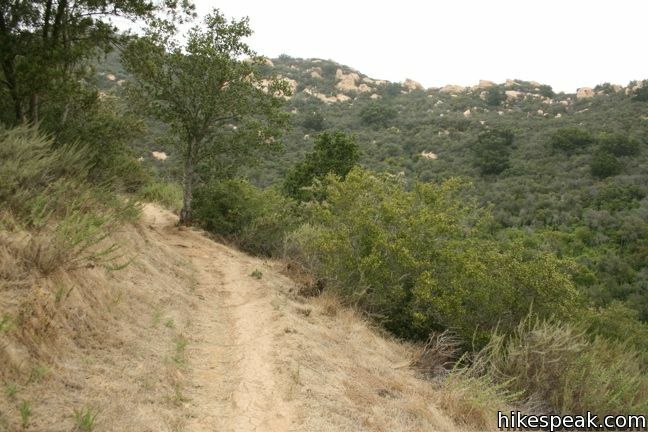 One could turn around right here for a satisfying 2.8-mile out and back with 650 feet of elevation gain. 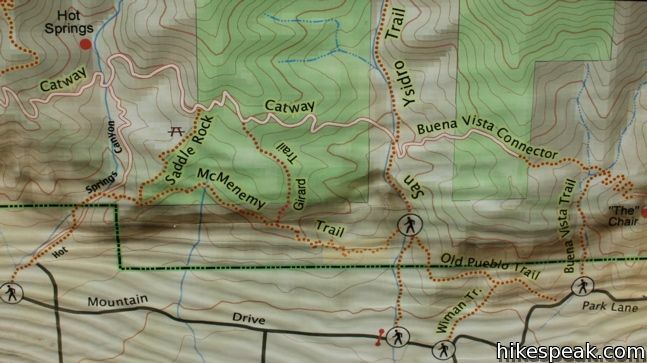 Beyond the bench, McMenemy Trail continues to the west toward Hot Springs Canyon. 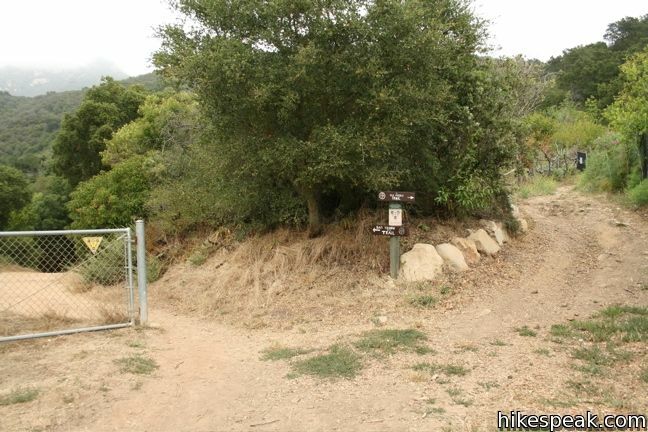 However, to continue with the loop, make a right on Girard Trail, which heads farther into the mountains, wrapping around the upper slopes of San Ysidro Canyon. 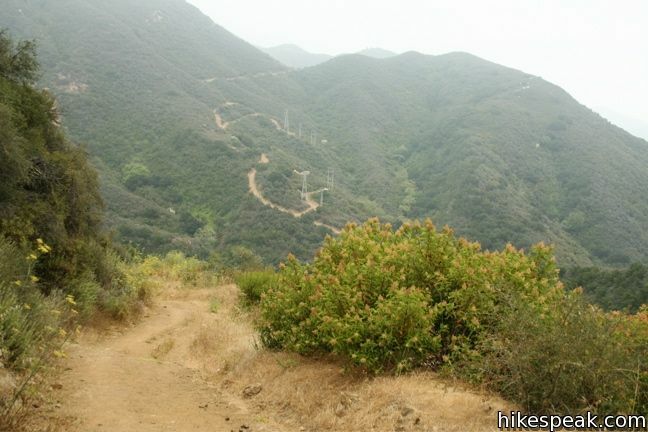 You will ascend another 350 feet over 0.55 miles to reach Edison Catway, a fire road that descends to San Ysidro Canyon Trail. 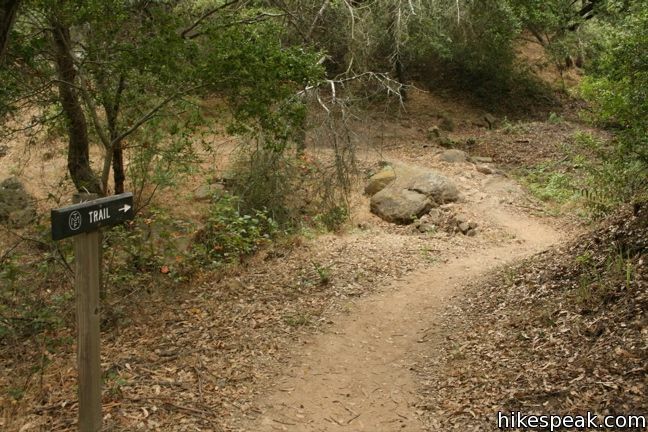 Just 1/8 of a mile into Girard Trail, there is a short spur path to a picturesque overlook on the side of the canyon. 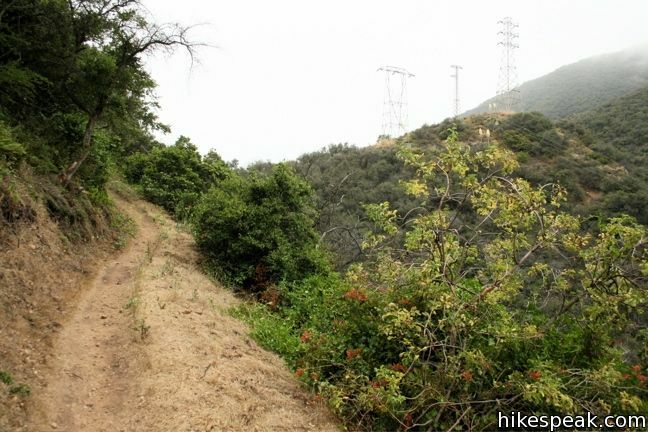 Girard Trail ends below a string of high power electric lines, reaching a high point of 1,450 feet. 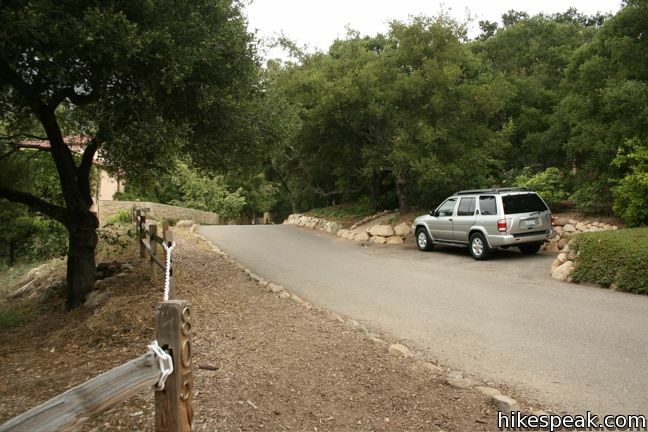 Make another right on the dirt road and begin the steep descent back into the canyon. It is 1.2 miles from here to the junction with McMenemy Trail. 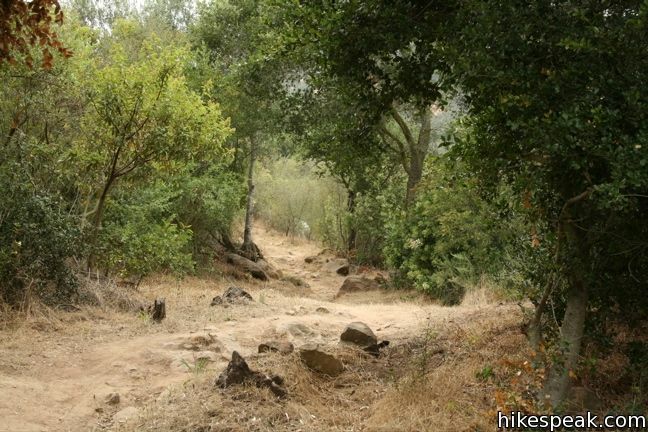 When you reach the bottom of the canyon, turn right and take San Ysidro Canyon Trail back to the trailhead. Dogs and mountain bikes are welcome. 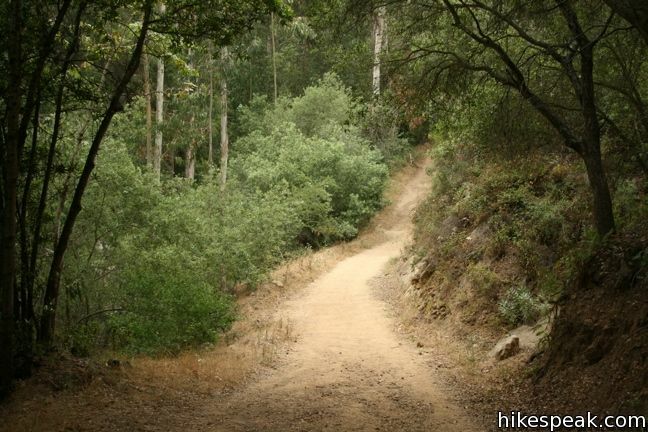 No fee or permit requires to hike this 3.7-mile loop, so get out and enjoy! 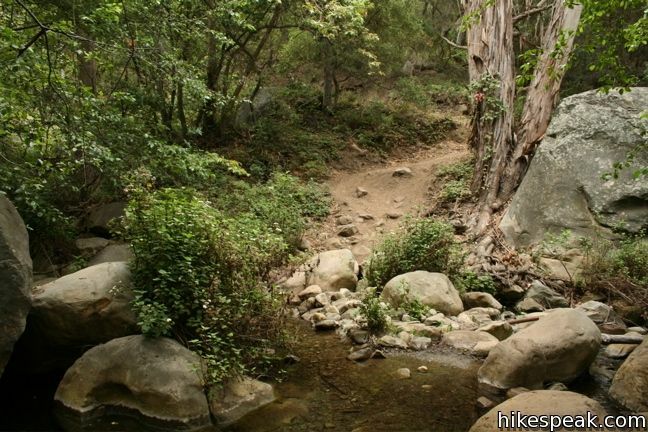 For a hike a little farther down San Ysidro Creek, check out Ennisbrook Trail in San Ysidro Creek Preserve. 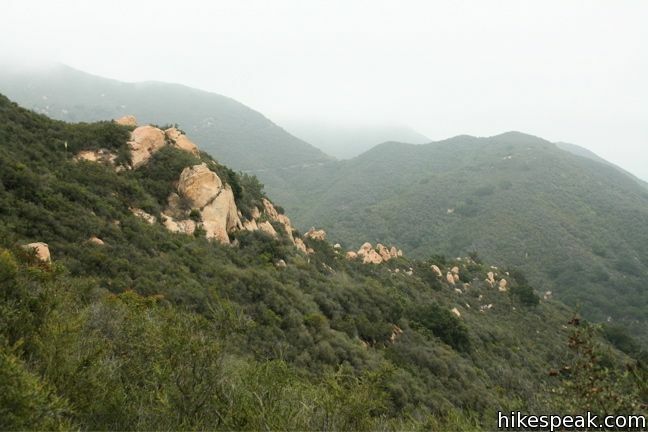 To get to the trailhead: From Los Angeles, take the 101 North for 90 mile. 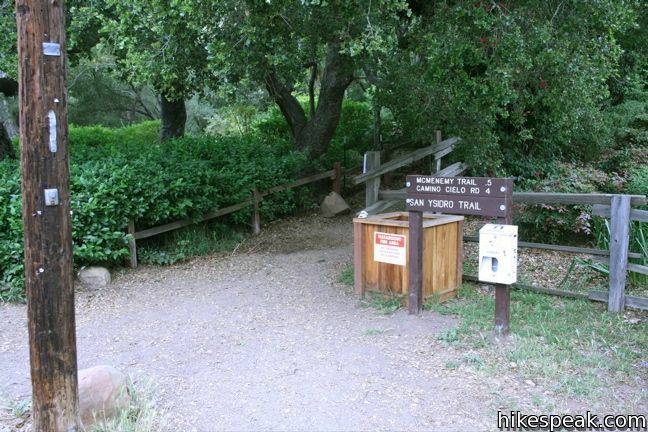 When you reach Montecito (just east of Santa Barbara), take exit 92 onto Sheffield Drive. Head north on Sheffield drive for 1.3 miles. Turn left on East Valley road. After one mile turn right on Park Lane. After 0.4 miles turn left onto East Mountain Drive. Take that for a quarter mile to the trailhead at road’s end. There is parking on the side of the road. These photos were taken in July of 2010. Click to enlarge. 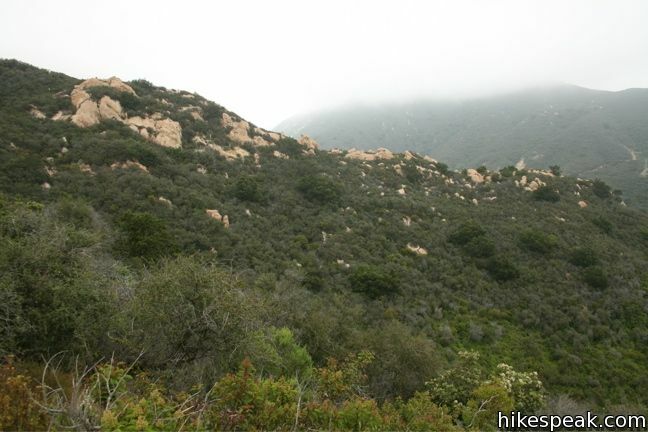 This half-mile hike offers amazing views over Santa Barbara and the Pacific while visiting a unique rock formation. This set of instruction on this hike were wonderful. I appreciate the time it took the person who created it and I definitely appreciate it. Thanks! 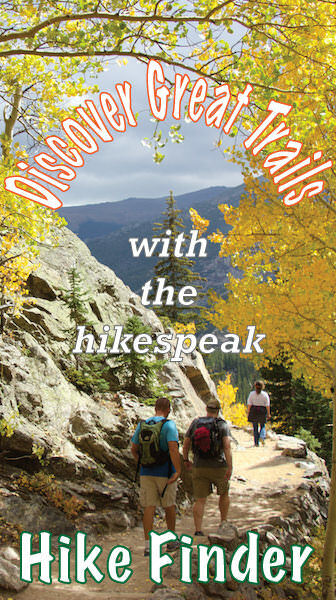 Excellent description of the trail. I hiked the first section today and I can’t wait to do the whole loop. 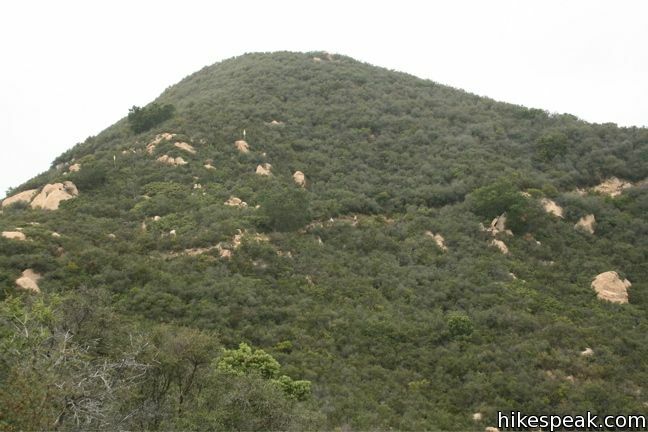 This is my fav SB hike. The breakdown on this page is 100% accurate! 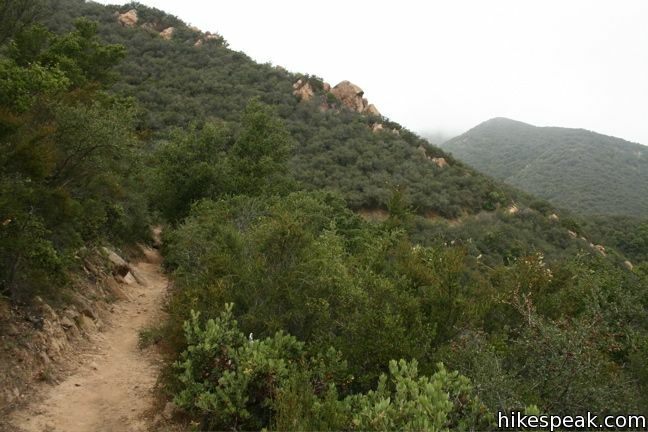 Great hike. My wife and I enjoyed it on our 22nd anniversry. 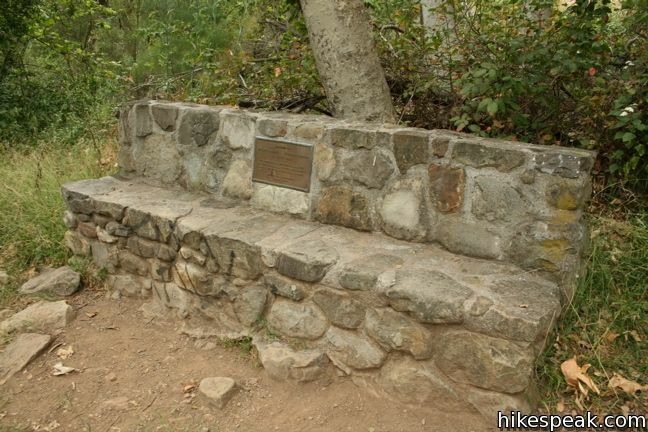 At what elevation is the stone bench? 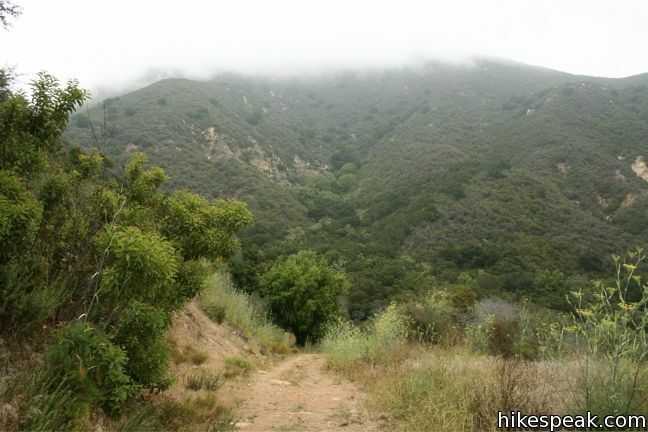 The elevation at the bench is around 1,050 feet. Glad you enjoyed the hike! This is amazing work you did here. My wife and I have just moved back to California after being gone for twelve years. 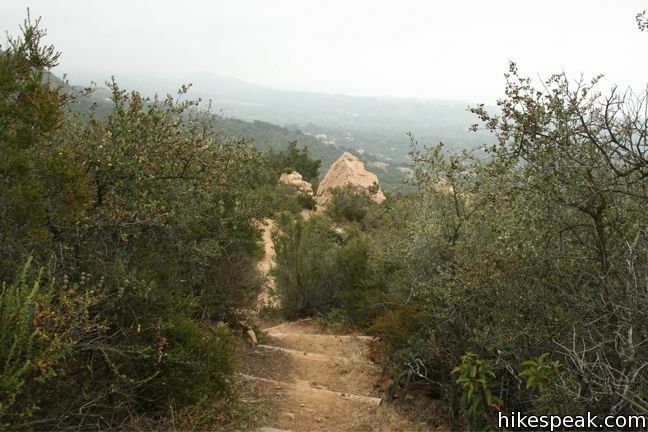 We used to hike all of the SB foothills trails but we have forgotten a lot of the trail details. Your page was the perfect refresher for Mcmenemy. We’re heading out tomorrow. Thank you very much!